One of the great things about living in NYC is FREE things to do for families. 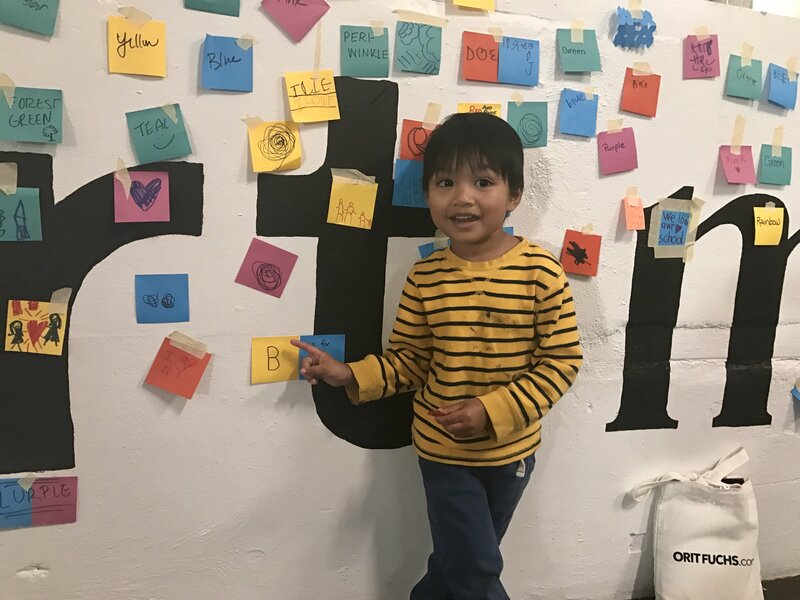 The Children’s Museum of Art is hosting ARTech: Adventures in Art & Technology, a pop-up play space designed for kids 4+ years to explore Art & Technology, throughout March & April – perfect for spending quality time with the kiddos over Spring Break, if you happen to be in town. The space is located in the Meatpacking District, just one block away from Chelsea Market, where you can grab a bite before or after play. Arjun had a lot of fun exploring the STEAM-based activities. (STEAM = Science, Technology, Engineering, Art and Mathematic). We raced a homemade car with others down a ramp, made a mini telescope, and posting on the large art wall. “B is for Brother”, Arjun says. There’s also a mini planetarium, ball pit, block building (also fun for kids under 4 years), and GIF making stations for kids to enjoy. Please ignore the mess on Arjun’s shirt. Art is always messy with us. ARTech is free and open to the public. Reserve tickets https://artech.splashthat.com. Play is open for 1 hour increments and you can come as often as you like!! YEAH! Previous I’ve Cloned Myself so I can Practice Yoga with YOU!